· Bi-monthly education sessions/meetings that focus on the social determinants of health. The African American Health Coalition partnered with the Judson Robinson Jr. Community Center to host 2 physical activity events: “Line Dance Your Way to Healthy”. We had over 40 participants try different types of physical activity including Zumba, line dancing, and yoga. Participants were also able to visit health and social services vendors to learn about local resources. This card helps to address health literacy by helping individuals navigate the healthcare system by providing definitions of commonly used terms and guidance on how to utilize the appropriate medical services. 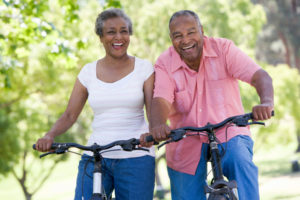 The African American Health Coalition is dedicated to promoting healthy lifestyles and advocating for healthy communities for people of African descent. © 2016 Copyright - African American Health Coalition. All Rights Reserved.